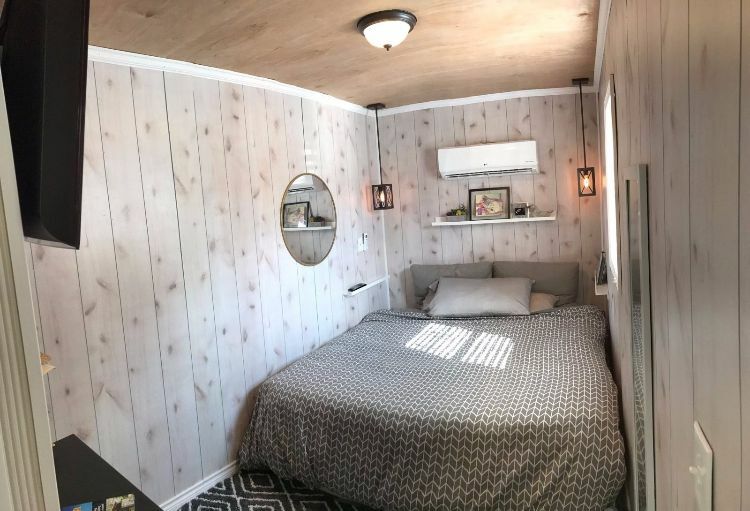 Are you thinking about moving into a tiny home and want to try something a little more unique? For a fraction of a normal-sized home, try living in a shipping container converted into a living space. Imagine yourself with no home mortgage and having more to spend on items that matter. Less is more after all, right? While the outside could use with a little gussying up, just wait until you look inside! 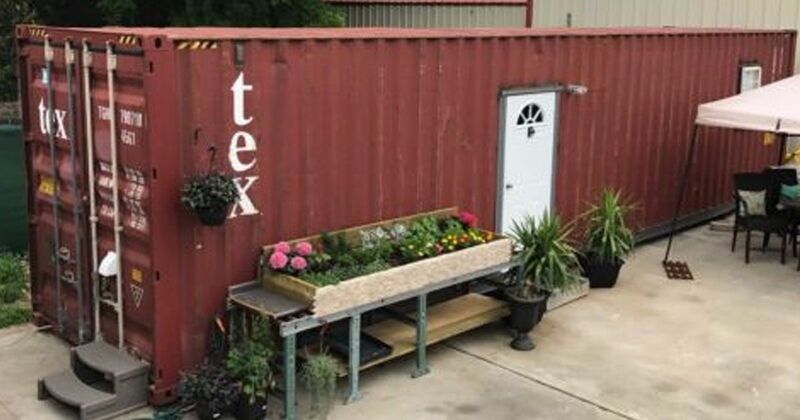 Crafted from a used shipping container, this home is 320 square feet of comfortable living. "Tiny Tex" looks small, but looks can be deceiving. The beautiful wood floors create a modern rustic look that feels luxurious. There is plenty of space to walk around, and the higher ceiling creates an open and airy feeling throughout the home. 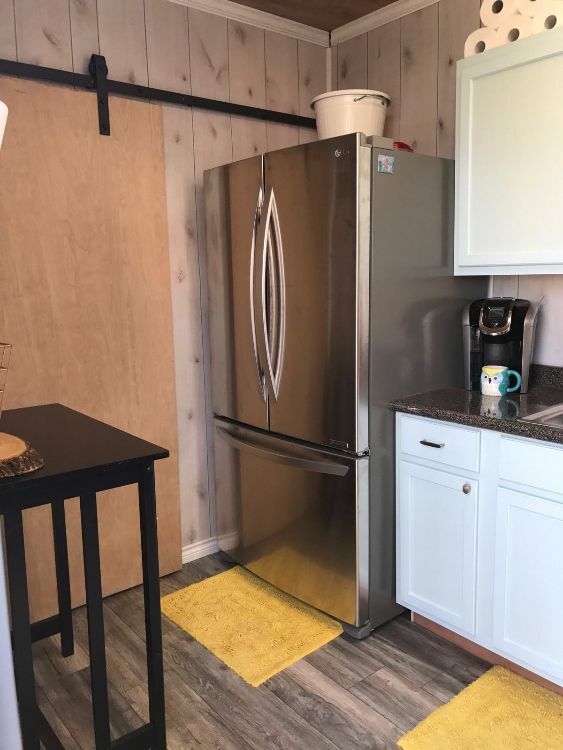 Tucked in the corner, this kitchen includes a full-sized fridge and sink, a garbage disposal, an electric stove and plenty of space to store kitchen supplies and food. A small dining area is situated on the other wall. This surprisingly spacious bathroom/laundry combo includes a full-sized shower, toilet and pedestal sink. It also includes a stackable washer and dryer unit! Ample natural lighting helps the room appear and feel bigger. This cozy bedroom fits a king-sized bed and includes some shelving for storage. Rest easy in here at night with a split AC/heater unit. Plenty of natural lighting makes this room feel big and bright in spite of its size. 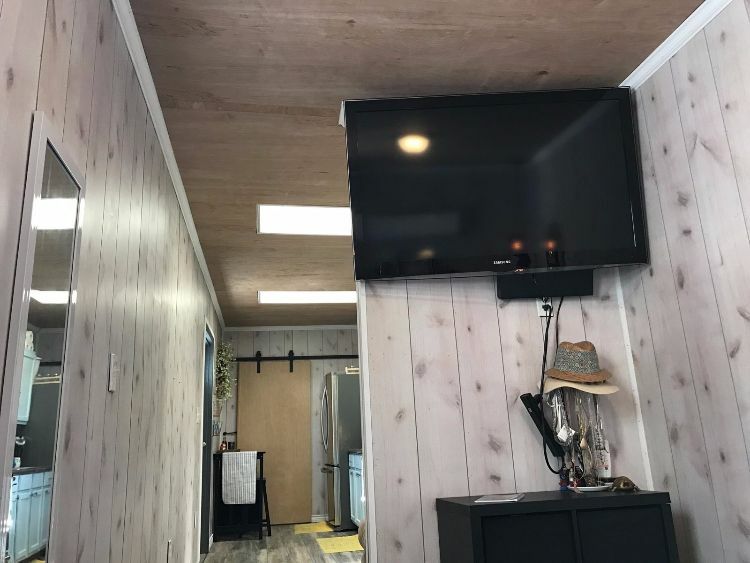 A wall-mounted television and a hidden safe round out this comfortable living space. The soft-colored walls and use of barn doors in the space help the home feel larger than it is. 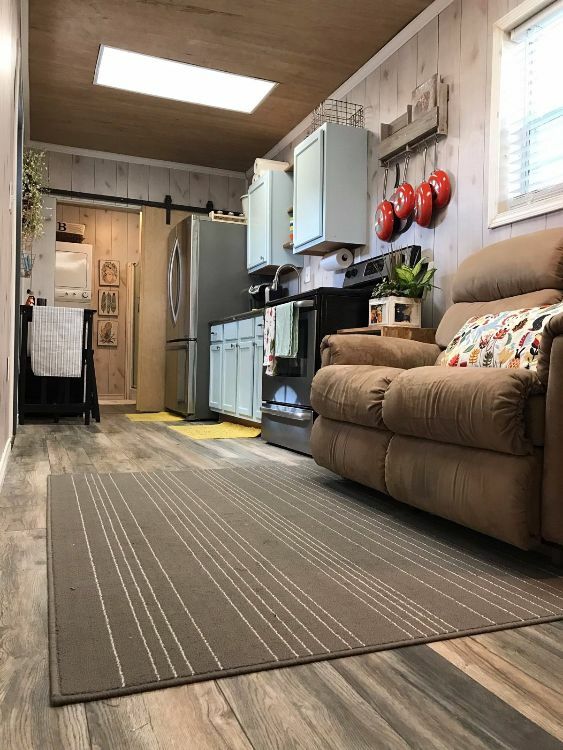 Do you think you could live in this container home? Make sure to share this beautiful transformation with your friends on Facebook.